The baby shower’s popularity is quickly sweeping the nation. No longer confined to the US, a baby shower is the perfect send-off before a friend or loved one takes her final steps into motherhood. But the question is; ‘what gift to bring? Here are some unique baby shower gift ideas that will ensure you give the perfect present. Making a hamper for the mother-to-be is a thoughtful, practical and very helpful gift. Fill with items she’ll really need like nappies, baby soaps and shampoos and bottles. These items are must haves for any new mum and will surely go down well! This is a perfect gift, especially when it’s given by the new mother’s family. Include pictures from here own childhood and throughout her life, just before she steps into motherhood. This is an extremely thoughtful gift and has the perfect personal touch. Everyone remembers the books they were read as a small child and the positive and meaningful effect it left. The idea of reading your child the same books you were read means it’s a perfect baby shower gift. There are many websites that specialise in classic children’s books. Motherhood is stressful enough without having to worry about cooking. 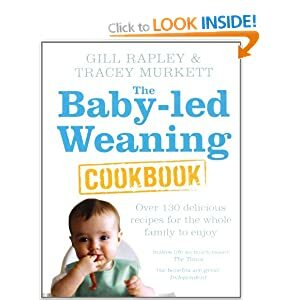 There are many examples of baby friendly cookbooks and food ideas for a new born so this would be a great gift idea as its one less thing mother has to think about and is perfect for new mums. A very practical gift which will help both mum and dad prepare for the inevitable knocks and bumps the child will have. This is great for the creative types who are a dab hand with a needle and thread. Use soft fabrics to make the quilt and feature creative baby-friendly pictures like farmyard animals. This is also a cheap alternative to buying a gift and can be easily customised to suit the mother-to-be’s style and personality. This is a perfect gift to give to any new mum and will be the perfect way to record the stages that her child will make. It’s a great place for her to record her babies first words, lock of hair, first steps etc. Bio: This article was provided Shower My Baby, an online baby shower website specialising in all you need for the perfect baby shower. Next Post Trash Pack Scum Drum Playset – the next playground craze?